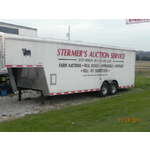 MIKE STERMER HAS BEEN IN THE AUCTION BUSINESS FOR NEARLY 24 YEARS AND WAS BORN AND RAISED IN EAST BERLIN,PA.MIKE,HIS WIFE TIFFANY AND HIS PARENTS,FARM NEARLY 800 ACRES FULL TIME AND ARE HARDWORKING,DEDICATED,HONEST PEOPLE WHO TAKE THAT SAME HARDWORKING DEDICATION TO MIKE'S AUCTION COMPANY.ONE OF THE AREAS FASTEST GROWING AUCTIONEERS,HE CAN GET THE JOB DONE RIGHT AND GET THE MOST FOR YOUR GOODS! !FROM RARE TOYS TO GUNS,HOUSEHOLD TO FARM EQUIPMENT,REAL ESTATE,AUTO'S..YOU NAME IT!! IF YOU ARE CONSIDERING A PUBLIC AUCTION,CONSIDER MIKE! YOU WON'T BE DISAPPOINTED!SERVING CENTRAL PA,and MARYLAND AREAS!CALL MIKE FOR ALL YOUR AUCTION NEEDS AT (717) 577-9187 OR (717) 292-2855. WE ALSO OWN AND OPERATE MLS SOLUTIONS ROLL-OFF CONTAINER SERVICE. 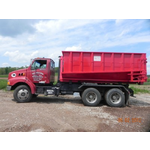 WE HAVE DELIVERY & REMOVAL SERVICE OF YOUR UNWANTED DEBRIS IN A TRI-COUNTY AREA. CALL FOR PRICING TO GET RID OF YOUR UNWANTED TRASH!